I guess time and again, when it comes to peonies, just about like everything else, you get what you pay for. 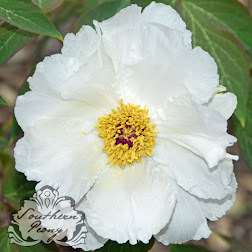 I was pleased when I received my first official tree peony order from Tree Peony Garden, a peony grower in the US who focuses mainly on tree peonies. Not only were these tree peonies much more expensive, they were much, much larger and fresher than the cheaper Tree Peonies from China I purchased through Ali Express. The tree peonies I ordered from Tree Peony Garden are 'High Noon', 'Kamatafuji', and 'Li Yuan Chun 李园春'. Peony 'High Noon' is an American tree peony cultivar and an APS Gold Medal Winner in 1989, while Peony 'Kamatafuji' is a Japanese tree peony cultivar, and 'Li Yuan Chun 李园春' is a Chinese tree peony cultivar. 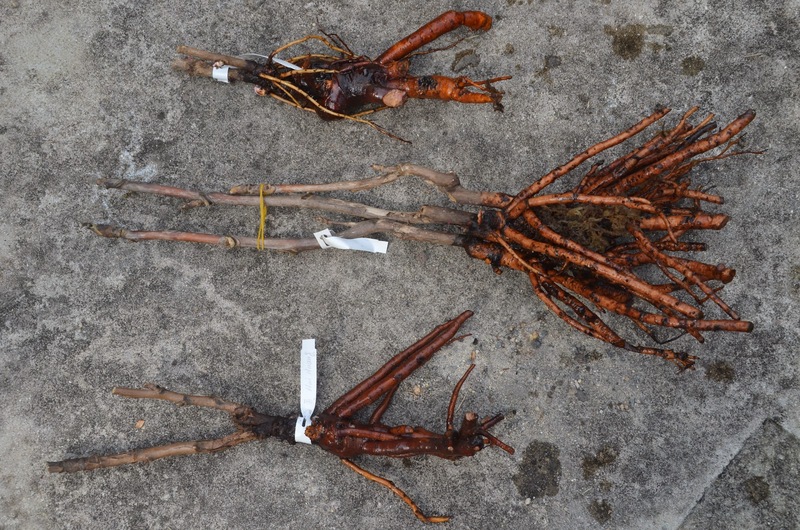 While I ordered 2 year old tree peony plants for all three of these cultivars, it looks like they sent me a much larger and older specimen of the center one in the photo (Peony 'Li Yuan Chun 李园春'). Perhaps they ran out of 2 year old tree peonies in this variety. It was so huge I was tempted to split it in half, with three large branches and lots of roots! However I decided to let it grow as it, hoping to get a nice blossom from it in the spring. 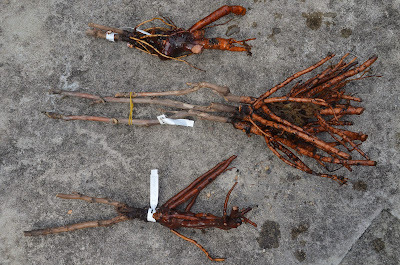 :-) I am looking forward to growing all three of these tree peonies which represent different cultures and regions of important tree peony growers and climates from different parts of the world. 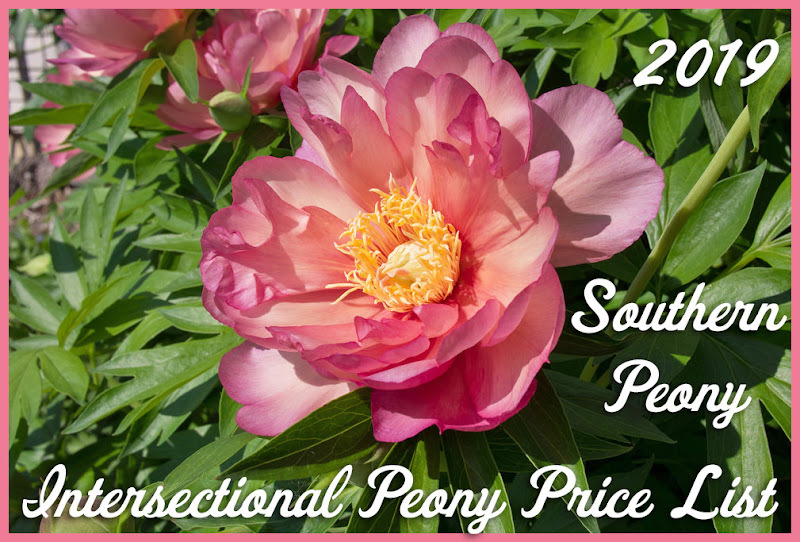 If you were looking for reasonable priced peonies that are as good as or better than what you have in that picture, the ones I got from chinaplants.com are far superior to what I've gotten in the past. Some of their plants are around 30 inches in length and 3lbs in weight with up to 5-6 branches depending on the species with 100% viability at least in my experience. The only drawback is that you will need to go through the paperwork for the plant import license, pay the phytosanitary fee, and wait for the USDA to approve you, but I think it's worth it if you want excellent plants at a good price. Their Rockii peonies are typically 1-2 year old still with their grafted nurse roots on them, not nearly as developed, similar to the 2 you have on the side except usually longer branches making it easy to take some more grafts without harming the plant too much. It sounds like you have much more experience than I do with tree peonies. I erred on the side of caution this time. Maybe next time I'll get out the dividing knife!